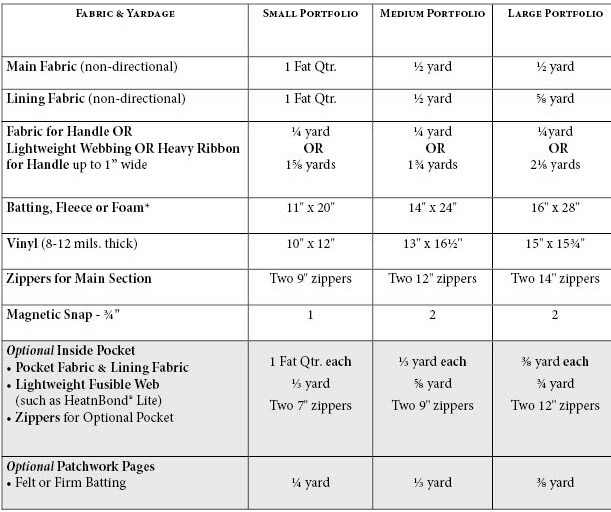 The Portable Portfolio is great for packing all sorts of things! 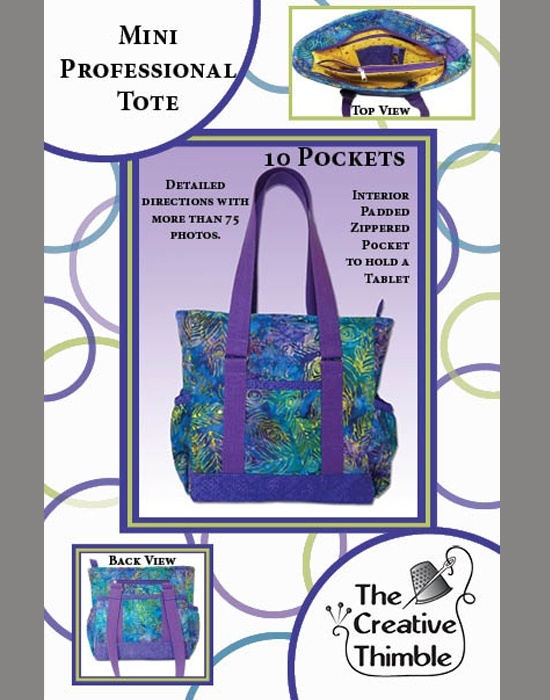 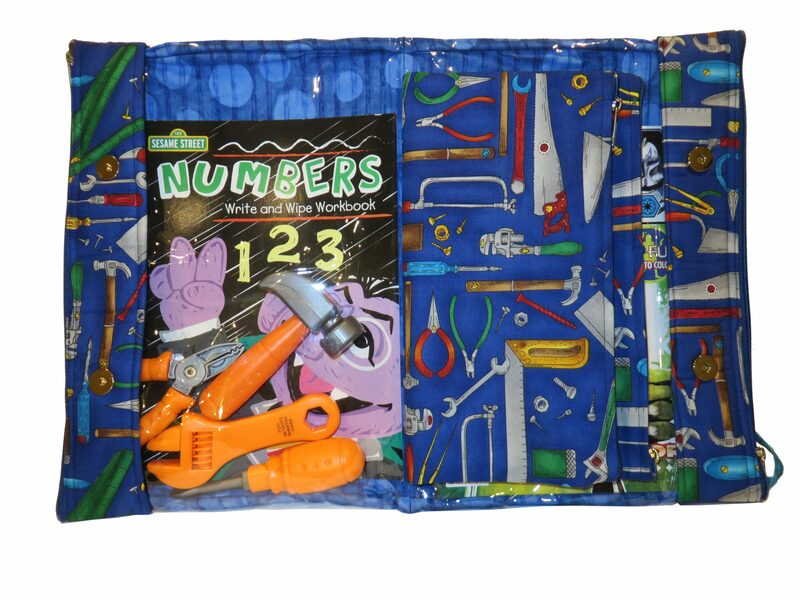 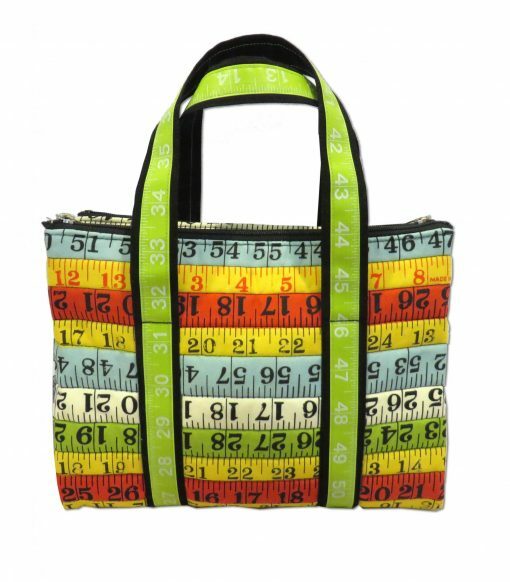 It has 2 or 4 zippered pockets and it can be made in 3 sizes. The Portible Portfolio would make an excellent sewing kit to hold your instructions and all the sewing notions for any sewing project. 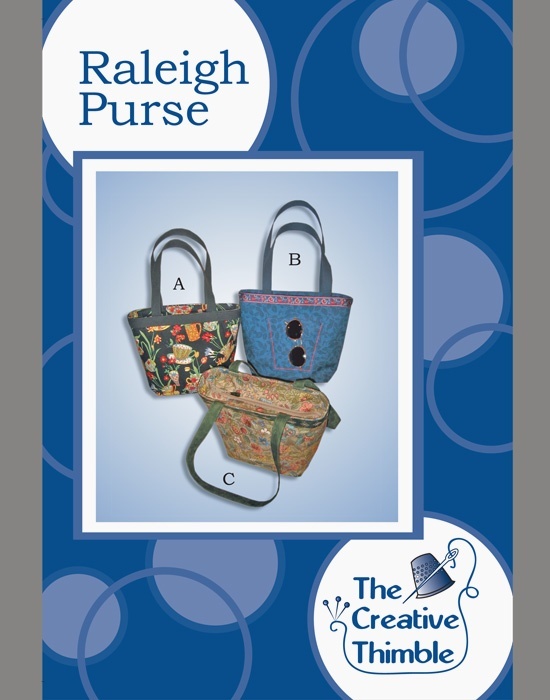 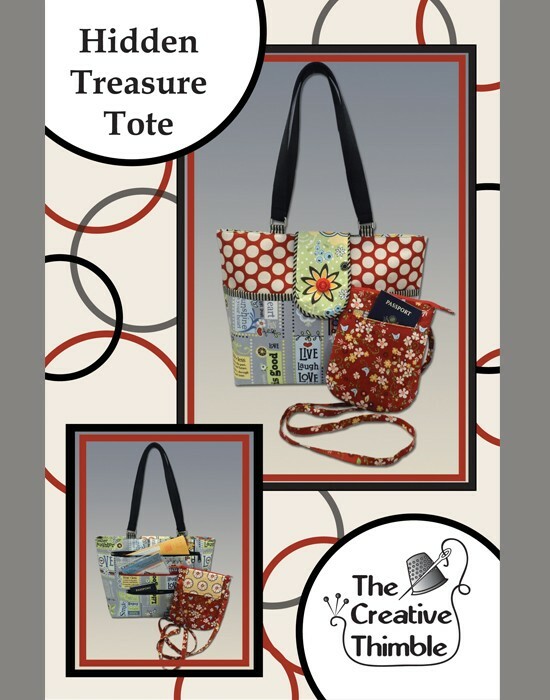 The pattern includes directions for 2 inside options; add felt or batting pages to hold your in-progress patchwork pieces, or add 2 extra inside zippered pockets to hold all of the smaller items. 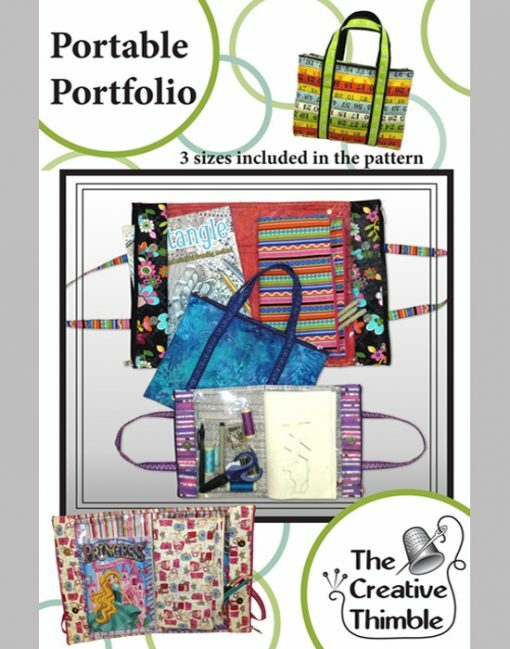 The Portable Portfolio is so versatile you will want to make one in each size. 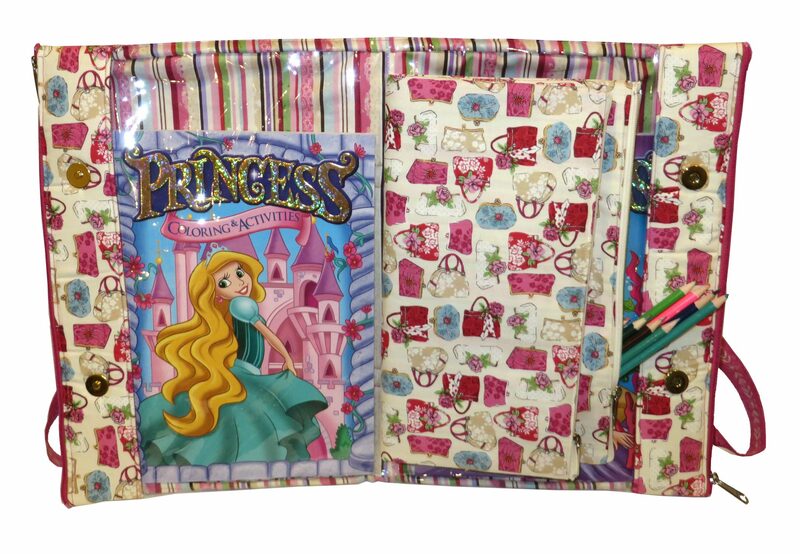 Its many uses include as a cosmetic travel portfolio; as a place to hold scrapbooking supplies, a business notebook and tablet, or even a small computer. The Portable Portfolio is the perfect place to put everything you need to take with you!